WWPD Chief Scott Bieber. Photo via linkedin. WALLA WALLA, Washington – The number of calls being made to the Walla Walla Police Department is going up and violent crimes are going down. 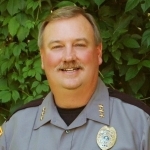 Chief Scott Bieber reported on the crime statistics in Walla Walla between 2015 and 2018. “We’re seeing significantly more calls for animal control, code enforcement and parking violations,” Bieber said of the increase in calls for service. He said he’s a bit surprised as reports of violent crimes have dropped from 2015, with the exception of a slight uptick in 2017. Specifically, Bieber explained there were 181 violent crimes reported in 2015, down to 114 in 2016, up to 131 in 2017 and then down to 116 in 2018. As for the sudden spike in calls requesting police, Bieber doesn’t have any scientific data, but he does have a theory. “I think people are comfortable calling, have a great deal of respect for the men and women of our department and the service they’re going to get and receive,” Bieber said. Bieber said while there’s been negative publicity nationwide against the police, he hasn’t seen those attitudes here locally. He credited everyone in the department for taking extra steps to help lower the violent crime rate in the city with its crime prevention tactics including GET (Gang Enforcement Team) and CCAT (Career Criminal Apprehension Team).